Why Reputation and Reviews Are Important To Business? Not to overstate the obvious but online reviews matter. And of course, when do people leave a review, when they are unhappy with something. For this reason it is important for business to make sure they are actively managing and developing their reviews. It takes time to cultivate good reviews. To this resolve we have added a review service and are bundling it with our Citation Lock service. This complete set of tools gives business owners the ability to manage and develop all aspects of their online business. And, as an added bonus, reviews (along with citations) continue to drive Local SEO and the Google Maps. 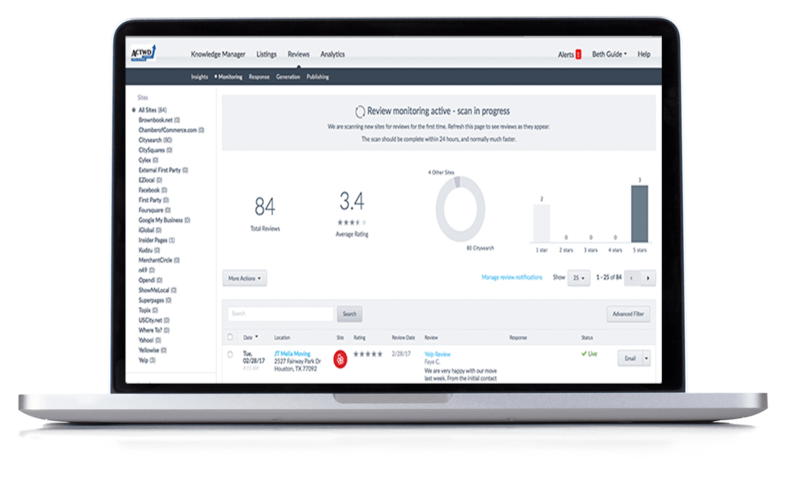 Tools too gain reviews from your own customers. Respond to reviews and provide your clients with the best possible service, answering their feedback in a way that is comfortable to them.